Facial treatments are so much more than an hour of pampering. They have enormous benefits to the health and wellness of your skin. Here at Pure Opulence Beauty I use the Organic skin care range Neals Yard. I also offer a range of other facial treatments including CACI….the non surgical facelift, Skin needling, Mesotherapy, Microdermabrasion and Chemical peel treatments. Details of each of these facials can be found below. Neals Yard Remedies use natural and organic ingredients, which are free from harmful chemicals. Products are tested on willing humans and have NEVER been tested on animals. This non-invasive treatment lifts, tightens and tones the facial muscles using a gentle micro current. This treatment also smoothes and softens lines and wrinkles which give immediate results leaving your skin with a beautiful glow and supple appearance. A non invasive skin resurfacing procedure that gently polishes away the top layer of dead skin cells. This treatment stimulates collagen growth and leaves a beautifully smooth and glowing skin. The treatment itself is classed as a superficial peel (meaning it only affects the outermost layer of the skin.) This treatment is recommended for fine lines, skin rejuvenation, oily skin and acne. Micro Needling works by producing up to 1 million microscopic needle columns in the dermis of the skin. This stimulates the skin to regenerate and repair itself naturally and safely. The micro needles excite the skin sufficiently enough to stimulate collagen and elastin production thus helping any skincare products to penetrate more effectively. Dermaplaning is a physical exfoliation procedure. It requires the use of a sterile, surgical scalpel to gently remove the top-most layer of dead skin along with fine, vellus hair (aka peach fuzz). Light therapy is a non-invasive treatment that penetrates the skin at different depths, creating various reactions in your skin such as fighting acne-causing bacteria, plumping the skin, reducing wrinkles and pigmentation patches. 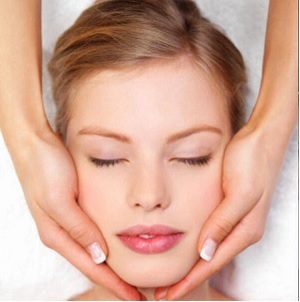 Single treatment 15 mins £5.00 when added to any other facial treatment. For more information or to make an appointment please call me on 07932 888177. View the other treatments available from Pure Opulence Beauty. © 2018 | Pure Opulence Beauty. All rights reserved.